But there's a catch for now. Mere weeks after Microsoft tested the waters of the Xbox One’s newfound capability to run universal Windows apps with retooled Blu-ray player software, it looks like a much more notable service is ready to take the plunge, too. Late yesterday, users on the Xbox One subreddit noticed a new version of the Hulu app available in the console’s store, with support added for Windows Phones, the Surface Hub, and even Microsoft’s HoloLens augmented reality headset. That strongly suggests the new version’s a universal Windows app, with the ability to run on any device powered by Windows 10 (including the Xbox One). The Hulu app’s switchover doesn’t exactly come as a surprise, however, as the service was revealed as one of the Xbox One’s first universal app adoptees way back in April, along with Nickelodeon, Dailymotion, and NASCAR. Hulu app that seams like its a universal app. Won't let me install. Don’t get too excited just yet though. While the Windows 10 version of Hulu is more capable than the native Xbox One app, the universal version isn’t actually available to download yet. You can see it in the Xbox Store, but can’t actually install it yet, as Windows Central first noted. 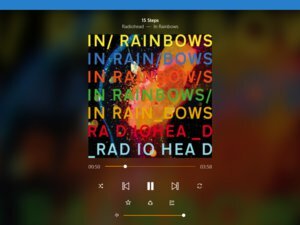 The story behind the story: The first wave of universal Windows apps for the Xbox One leans heavily towards video apps, which makes sense considering that the console tends to be connected to televisions. 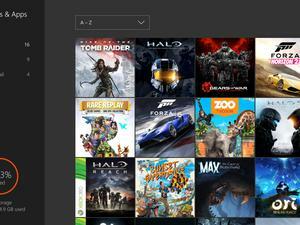 The Xbox One’s adoption of universal Windows apps will make life better for PC gamers too, however. The forthcoming legion of “Xbox Play Anywhere” games that let you play on either your console or Windows 10 PCs—with saves and multiplayer modes spanning both device types thanks to Microsoft’s servers—are actually just universal Windows apps with fancy branding slapped on them. Microsoft’s plan to use Windows 10 to tie its disparate platforms together appears to finally taking shape.